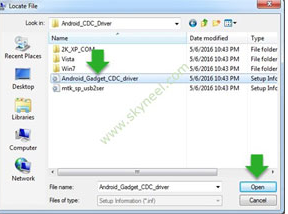 How to download and install Android CDC drivers manually on your windows operating system include Windows xp, 7, 8, 8.1 and 10; 64 bit-32 bit. These below listed instructions are perfectly works on your PC windows OS. What is Android CDC driver? This CDC driver is much important for all Android users. So with the help of this driver you are allowed to solve your connectivity problems. You can connect your device to your PC or Laptop via USB data cable. It will enable all ways between the both devices. You can shuffle data among them in a very smooth way. Also Sharing files, Applications download new and install which are currently present in any one. Properly communicate each other secure and safely. Here we go for the full and complete tutorial. All steps one by one and to easily understand we added some images HAVE A LOOK on them. Download and install the concern driver from this given link location Download-CDC-Driver-ZIP. Now launch device manager on your windows computer. Click on WIN+RAR and RUN this command. In the RUN option you will find DEVMGMT.MSC and tap OK button. Let it start the launcher. Go to your computer name you will see Android MTK at the top. At the top right we can see File, action, view and help respectively as shown in the picture. 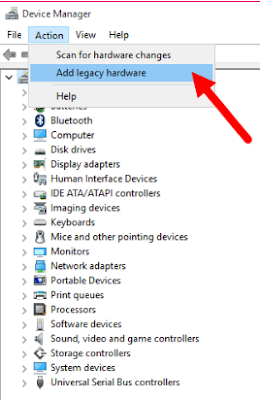 Click on the second one which is action and select Add legacy Hardware. Indicated in the image below. At the top it shows welcome to hardware wizard. You can see at the bottom NEXT button. Just click on it to continue. Now mark on install the hardware that i manually select from a list (Advanced). It will show all devices at the head. Select it and click NEXT button. Now click on have Disk button you can see it the image above. 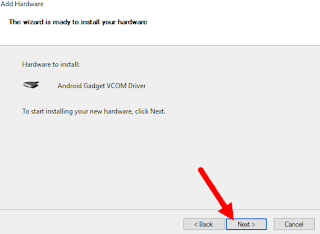 Locate the Android CDC driver which is previously downloaded and installed on your computer system. It will include your device automatically in the blanked area. Then click NEXT as usual to continue. To installing your new hardware click next at below. Now you can found two options. 1: Don't install this driver software. 2: Install this driver anyway. You have to go with the second one. 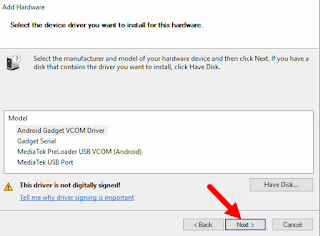 This will tell you only install driver software obtained from your manufacturer's website or disc and so on. 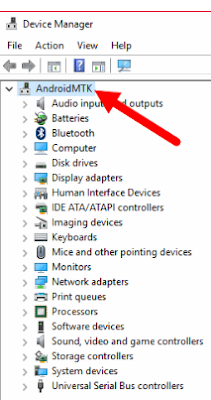 Now your device will take up-to 2 minutes to install the concern driver on your computer. 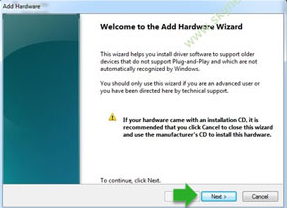 Now you are at the final stage to complete the add hardware wizard. To close this wizard and finish the whole process. Also you can check your currently installed driver like you can see in the image. Your driver is listed in this list. Go back to the first step at which you started on Device manager. Your requested driver can be found successfully.